My Man On A Mission DVD arrived while I was away. There are some welcome extras with a handful of interview segments and the “Apogee Of Fear” short film. In case you haven’t heard of this it’s a sci-fi/horror movie shot entirely on the space station by Garriott and is as such the first feature ever shot in space. It’s only about 5 minutes long and the quality is about what you would expect when asking a bunch of astronauts to act. It’s stretching it to call it a movie but it’s far from serious and still entertaining because of it. A DVD commentary track would have been nice but it’s still not a bad package at all. 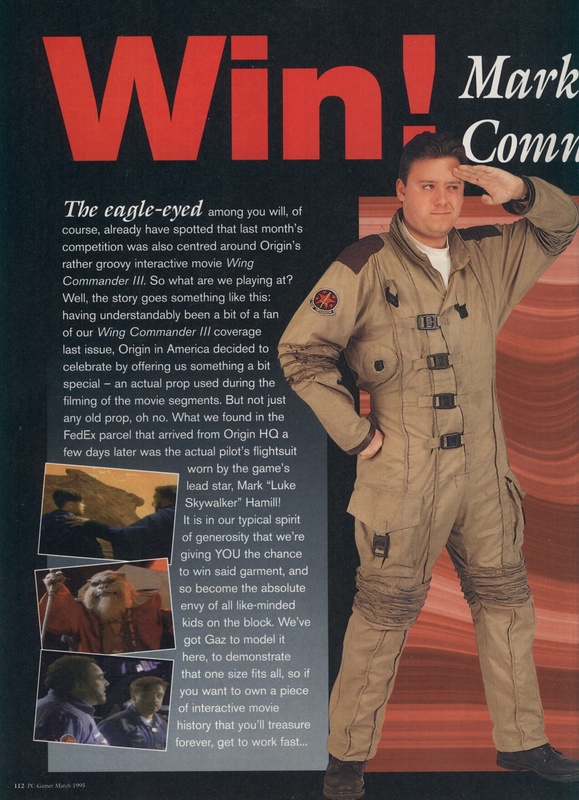 My second dose of Origin DVD’s (Wing Commander Academy) was sent 3 days back also so I should in theory be getting it around the same time as most of the USA which is a welcome bonus. Expect a full review in due course. Finally, I’ve been messing about with the site theme in the hopes of fixing my SEO problems and have reverted to a slightly modified default theme on the off chance it might help out. It could stand some improvement but it will do for now. So I can confirm it is in the UK still and still very much in one piece, and looked after! Nice to know it’s in good hands. 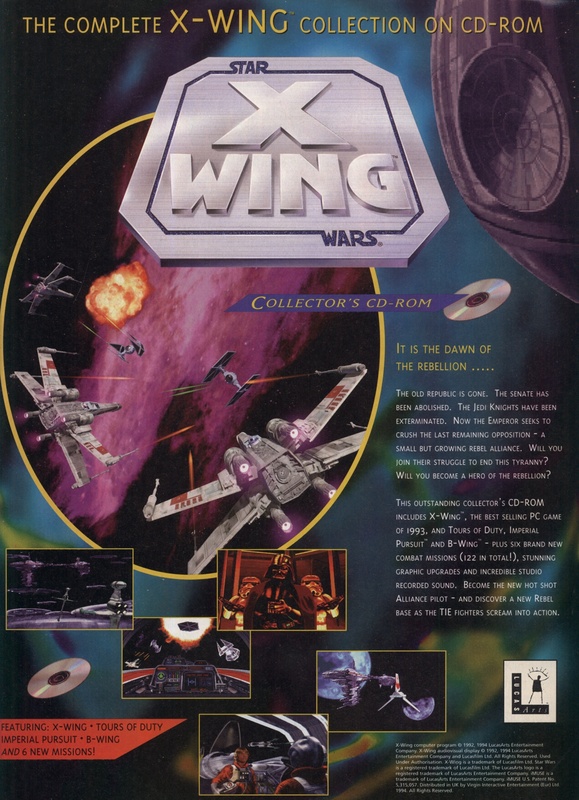 There are still a load of us Wing Commander fans around who would love to own this, myself included. If you ever do decide to sell it be sure to let me know. The last one I saw on Ebay went for about $650! I’ll bear it in mind, though as you can guess I’m a hugs fan myself, made a model arrow from scratch with my bro, took part in WC RPGs as kids, etc. but yeah who knows, if ever I have to choose between keeping this treasure or eating, I’ll be in touch? XD meantime anything you wanna know bout it lemme know, I’m currently trying to register with a board of fans who I think are keen for photo references …. Really glad that it ended up with a true fan. I shouldn’t be spending the money anyway. I’d love to see some photo’s myself, the more the better. It would make for a good post on here if you are OK with that. I know there was talk of replica costumes in the forums at wcnews.com and I’m certain those guys would be more than interested also. Am I right in thinking that it’s a off-the-peg flight suit that has been modified? 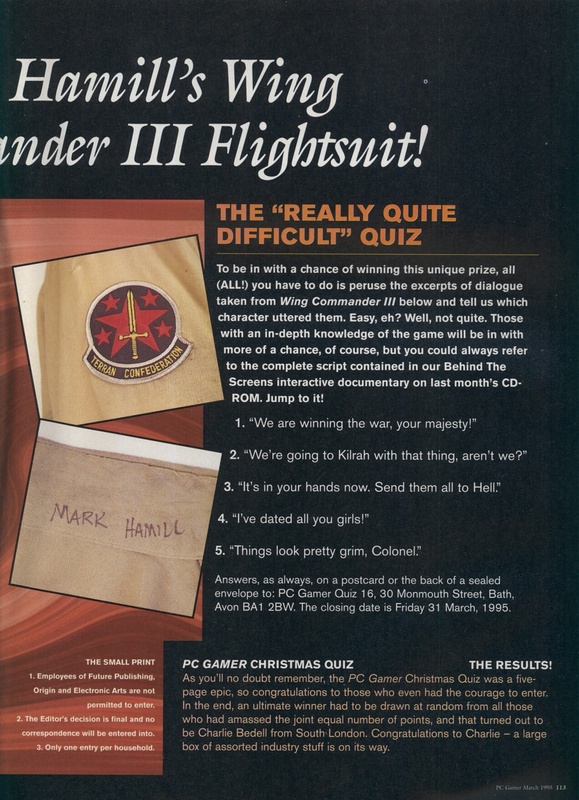 I may not own a Wing Commander flight suit but I do have one of the outfits from the FMV in Crusader No Remorse if you remember that game. What strikes me about that is how incredibly cheap and flimsy it all is. Nothing on it actually works either, e.g. the buckles are just painted blocks of wood. What’s the quality of the WC3 suit like? I have no problem with you writing a piece with photos of this. Why have something so iconic if I’m just gonna hide it away from the world? 🙂 let me know where to send the pics/links! If you can send the photos/links to pix@idnet.com that would be great. I guess I should share as well so this may be the time to dig out the Crusader outfit for a few photos of my own.